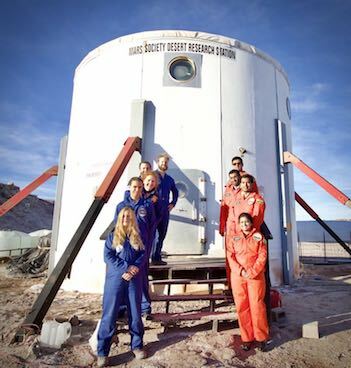 Final Communication to Earth from Mars, Crew 173 on the Mars Desert Research Station (MDRS), Utah. That’s it folks- we are finally on our last Sol here on Mars. Crew 174 arrived a few hours ago and are settling in nicely. We have completed all our mission objectives and it’s time to pack bags and handover to the incoming crew in the morning. So what did I do here on Mars, as that ‘artist’ you might ask? Well, to summarise, I managed the Art Outreach project and with the crew we documented our entire experience here using audio, video, timelapse, 360 cameras and photography – some of which have been published on HeadStuff (see links below). But we began this project about a month before we arrived at MDRS, by making videos pre-mission to reflect the time and effort expended in preparation for our mission. During the mission, we captured every EVA in photography and video and conducted time lapse videos of our experiments and daily life during our mission. And then post-mission we will continue our project and capture further reflections about our experience at MDRS using questions that I set each of the crew. I will summarise our experience in the coming weeks and will share it with you all on our social media pages. For my own personal art, I gathered content while at MDRS and am really excited to look at everything when I get back to make a multimedia piece, which I hope will reflect the human story of our mission. I also brought the Irish doll ‘Stargazer Lottie’ on mission and recorded special Mars-related and MDRS content exclusively for her, to inspire young Irish girls to consider careers in Space. Idriss worked with French online learning company ‘Teach on Mars’ and provided daily content about Mars and MDRS for them. Roy sent additional Mars & MDRS-related content to the Weizmann Institute. In all cases, this content was posted on the social media/online channels of these institutes/companies, respectively. If you were following us on Facebook and Twitter you would probably know that we shared a summary of our daily activities on social media and on blogposts in our native countries using this content. We received a number of questions from our followers, which we answered and posted online and created short 90 second tutorial videos for school children to inspire them to consider careers in STEM, especially in the space industry. We communicated with a number of schools during our time here in Israel and France and both Michaela and Roy conducted experiments for their students as part of our outreach mission objectives. In addition to the extensive media interest we all received in our home countries pre-mission, we also participated in group interviews as part of our mission, with Slovakia’s Radio Express and the Sunday Times in the UK. My time here has been a surreal and exhilarating experience that is difficult for me to express in words (hence why I work in multimedia!). But for all of us, the next chapter of our experience begins and we look forward to sharing our mission with you when we all get back home. Thank you Crew 173 for everything you have given me, most especially your friendship, care and love. Thank you readers for following our progress, it has been a privilege to share our story with you every day. I hope that you enjoyed reading about our adventures on Mars, as much as we enjoyed experiencing them. Good luck to Crew 174. They are a really lovely bunch of people and I think you are all in for a treat hearing about their mission over the coming Sols. This is Crew 173 Journalist officially signing off. Sol 5 | How Do You Celebrate Irish Night On Mars? Sol 6 | What Do We Do With Money On Mars? 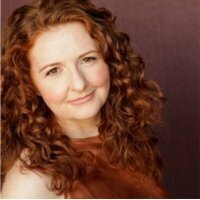 Dr Niamh Shaw, a performer, scientist and engineer, is passionate about awakening people's curiosity. Formerly a full-time academic and published author in peer-reviewed journals she embarked on a career which merges science, art, technology and humanity and is currently the Artist in Residence at CIT Blackrock Castle Observatory, Cork. Niamh regularly contributes popular science/tech related topics on national TV and radio, including TV3's Late Lunch Live for Science Foundation Ireland, as well as speaking publicly at events including TEDxUCD, Trailblazery (2013), Space Expo (Trinity College), Festival of Curiosity (Space Tourist 2014; Curious Tales with Dara OBriain, 2013). Her most recent science art performance,'To Space, funded by Science Foundation Ireland (in partnership with CIT BCO) & The Arts Council of Ireland about Irelands involvement in Space, premiered at Tiger Dublin Fringe Festival and will be presented at Edinburgh Fringe Festival in August this year, supported by Culture Ireland.